Write ups on BYJ, CJW and WLS event in Tokyo Dome. 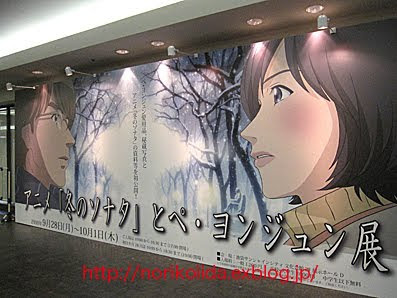 A special event for fans in support of the animated version of "Winter Sonata" took place at the famous Tokyo Dome earlier today. The dome was flooded with fans alike hoping to catch even the smallest glimpse of their Yon-sama. Bae Yong Joon blew the crowd away. There was an estimated 50,000 + fans present, all screaming and raising their hand out to Yon-sama and evermore. This has truly re-established his fandom as well as the immense popularity of "Winter Sonata," which took Japan by storm a few years ago. Winter Sonata was a genuinely worthy title to be even called "the origin of the Hallyu wave." The event started with a light hug between Bae Yong Joon and co-star, Choi Ji-woo. The last final bit showed the two in-drama couples each riding on an indoor 'hot air balloon,' waving and smiling warmly to the pool of fans down below. 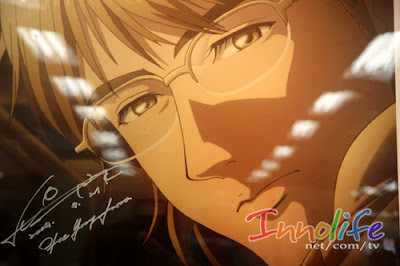 "Winter Sonata" was re-imagined through animation, becoming more like a treat for fans to reminiscence the fresh, old days when the show was airing on television. This classic's popularity doesn't seem to die out as it will always be a part of Hallyu forever. Bae Yong Joon and Choi Ji Woo have both said that they had initially thought voice acting would be a cinch compared to on-screen acting - but soon discovered that voice acting was actually a lot more difficult than they had thought. Bae Yong Joon said, "It was hard to convey emotions just through my voice. Lines weren't always provided, and there were times when I had to use a certain type of breathing for a certain scene to convey the emotions properly, so it was really difficult." Choi Ji Woo said, "At first, I thought this [voice acting] would be a lot easier than filming a drama. It was especially hard to express my feelings in such a small space. When I was voicing a scene where my character was jumping, I actually jumped." She also added, "I've adapted to voice acting a lot."